On June 3rd I spent the morning with around 20 other artists, hanging our pieces at the NM Cancer Center for the Summer show, “Artists on the Rise”. Below is the flyer with all the information about the opening reception, “Walk and Talk” event and gallery hours. The gallery is open by appointment only out of respect for the privacy of the patients receiving treatment. Please join us for the opening THIS Sunday from 4-7pm. I would greatly appreciate your votes for the People’s Choice award! This show has been a long time coming, I first applied to show here several years ago. 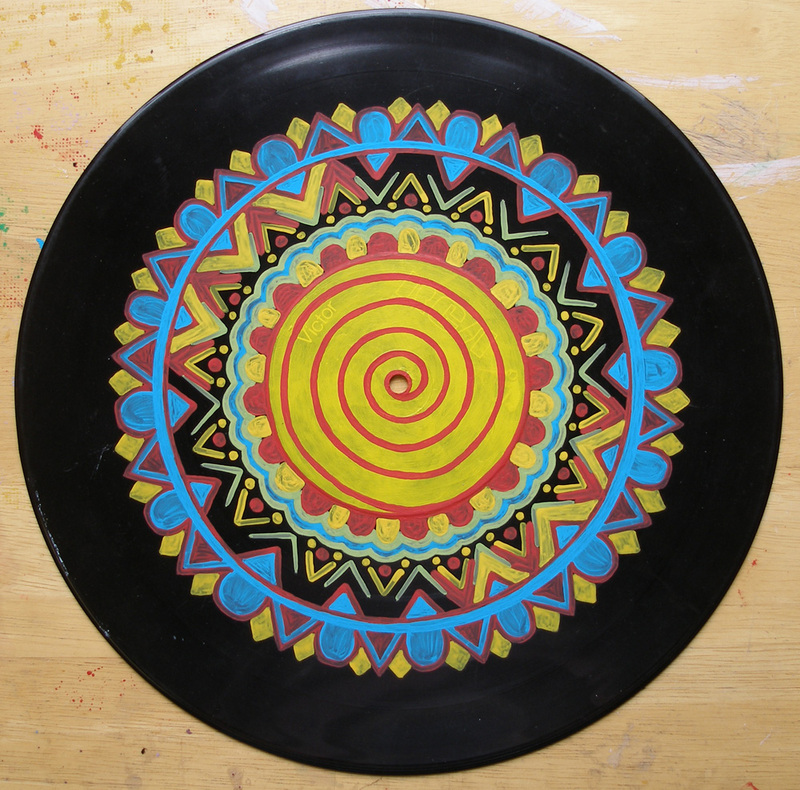 I’m excited to show/sell my work for a great cause! New Mexico Cancer Center Foundation is a non-profit organization solely dedicated to raising funds to alleviate non-medical needs for cancer patients. 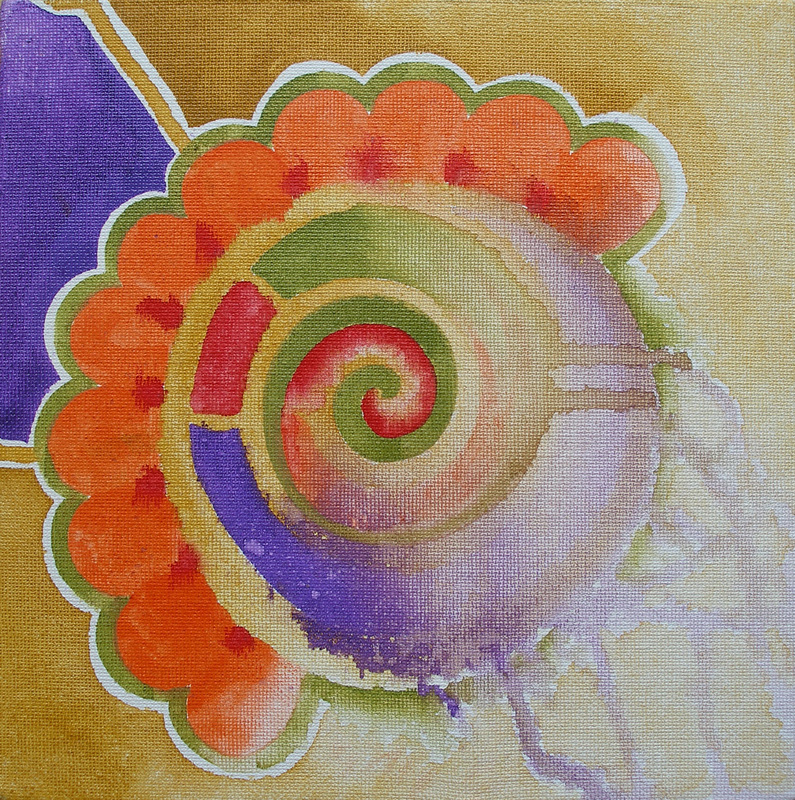 40% of each art sale goes to the foundation and is tax-deductible. See you there! Even if you can’t make it to the show, of any and all sales of the 22 pieces I have showing, 40% will go to the NM Cancer Center Foundation. Whether you purchase at the show, or on my website. 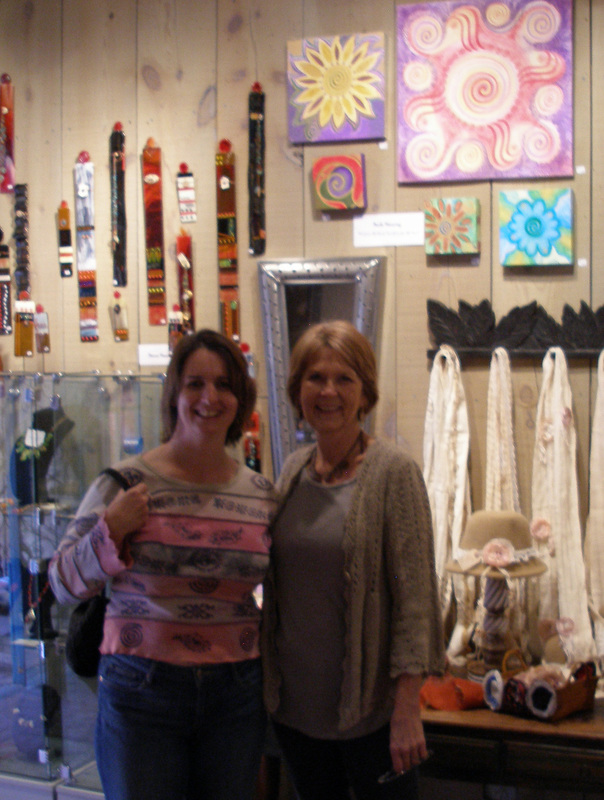 Me with Carolyn Carroll, owner of Bright Rain Gallery in Old Town Albuquerque. That’s my art on the wall in the background! This has been a fantastic week for me! I am just super grateful for all the manifestations in my life this week! 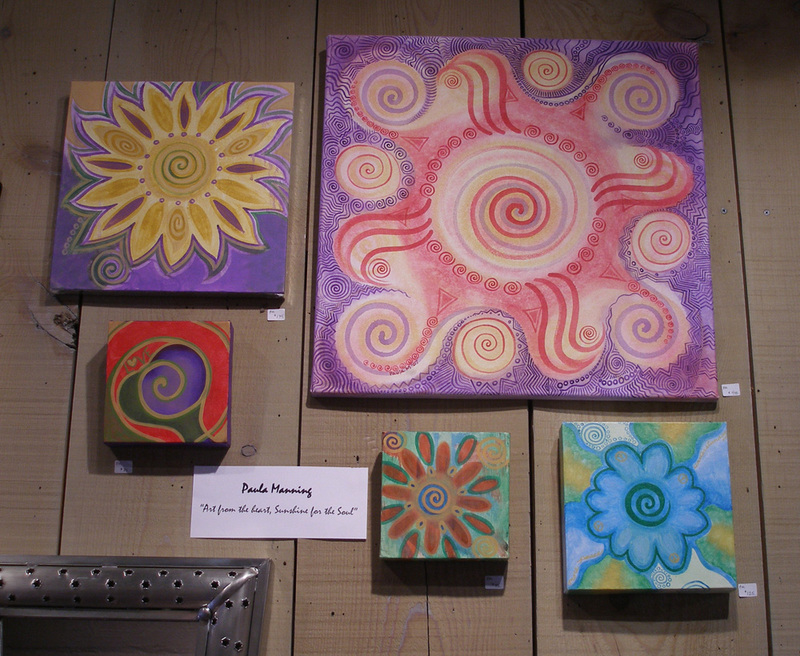 I have been working towards a goal I set at the beginning of the year, to have 5 galleries showing my art by June 2013. As of Monday, I have two! 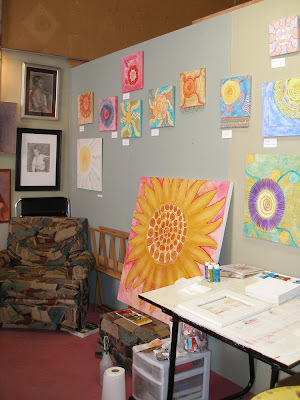 Friday I met with the owner of Bright Rain Gallery in Old Town Albuquerque to show her a few paintings and prints. I was pleased to leave Old Town with my paintings and prints now represented by Bright Rain Gallery! Of course, I came straight home and posted my good news on my facebook page and within a day I had received an email from another gallery where I recently submitted my art. 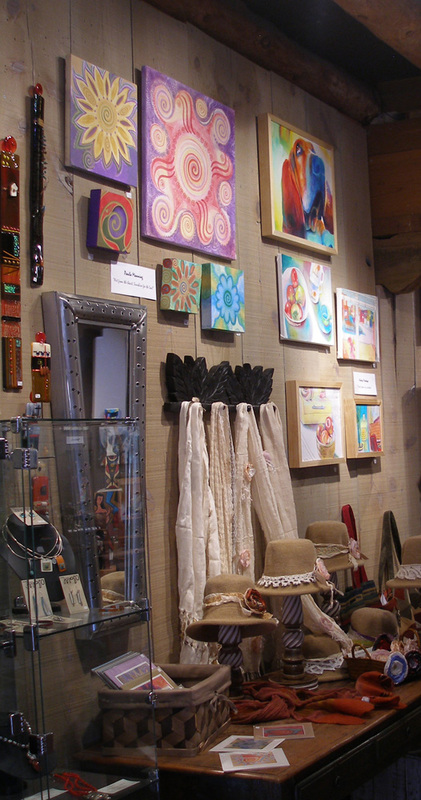 High Desert Art & Frame is up near the Sandia Mountains at the intersection of Montgomery and Tramway. I met with them on Monday and will be their featured artist in July of this year! Yet another argument for following up with galleries once you submit. I sent email submissions to the first gallery in February. I didn’t hear back from them but decided to drop in while gallery hopping with a friend. I mentioned something to the gallery owner about my email while talking with her and she said she remembered my email and liked my work. She asked me to bring some paintings by sometime, which I did the next week. If I hadn’t followed up with her, my art may not be in that gallery. 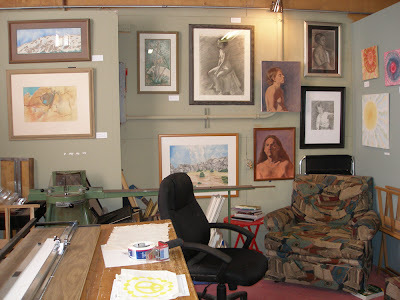 Another awesome note, I went by the gallery today to take a picture of my art on the walls (see above & below) and found out that since I dropped off my art on Friday, I had already sold 5 prints! The second gallery was reminded to contact me because of my post on facebook. So, another great reason to use Facebook. 🙂 As if I needed another reason! Needless to say, now that I have a show coming up in July, I have some painting to do. I have been slowly getting back to the studio, painting for what seems like the first time in forever (it’s actually been 7 months since I painted regularly!). Today I had a good friend call me to ask if I would mind if she came and watched me paint, so we had a great time painting alongside each other. (FYI, don’t ask to watch me paint unless you are ready to dive in and paint alongside me! 🙂 I finished my first small painting in a while and worked on my record painting a bit more, almost done with it. I ordered canvas stretcher bars this morning and plan to get going on a new series as soon as they arrive. It sure feels good to get back to my art! I have been having so much fun making music with my husband though! I just have to figure out how to make time for both. Easy peasy! Working on my portfolio today. Updating my bio, resume, and writing my artist statement. Writing is one my least favorite things to do. At least this type of writing. I journal and blog all the time, but this is professional writing! I have to sound educated and interesting. English was one of my better subjects in school, I always got As, but it is so difficult to write about myself. Anyone else out there have this problem? I almost wish I had one of those fill in the blank forms I could use and just input my information. I’ve been browsing the Art Biz blog for help. How fitting that she has been covering this subject recently! Alyson sure is a huge help! Other than forcing myself to work on the business side of things, I’m getting ready for our trip to San Francisco. I can hardly wait! It has been over 20 years since I’ve been to California. 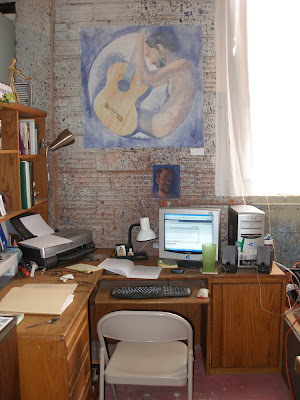 One of the things I’ve been doing to get ready is searching galleries online in the San Fran. area. WOW! There sure are a lot to see. I’m trying to narrow it down online so when I get there it won’t be so overwhelming. We will only be there for 4-5 days so I want to see as much as possible without wasting time on galleries where my art wouldn’t fit in. 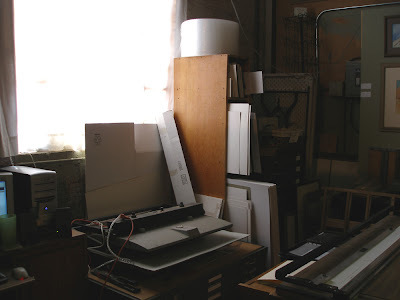 Here are the photos of my new studio that I’ve been promising for months! The photos are taken from the door looking in and going left to right respectively.